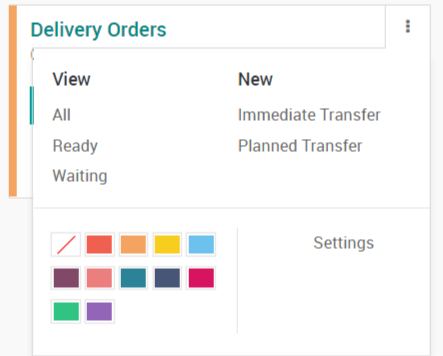 In Odoo, you can create two types of transfers: immediate or planned transfers. When you create a transfer manually, it is by default an immediate transfer. In the case of an immediate transfer, you directly encode the products and quantities you are processing, there is no reservation that applies. This is why the column "Initial Demand" is not editable. You only fill in the column "Done" for the quantities. This is for example used when you are transferring goods from a location A to a location B and that this is not planned (you are processing the transfer right now). When a transfer is generated automatically (from a sales order or purchase order for example), it is a planned transfer. This means that there is an initial demand and that reservation applies on this initial demand. If you want to create a planned transfer manually, you can do it from the inventory dashboard. In that case, you will have to enter the initial demand first (how many units are you supposed to proceed), then to mark your transfer as to do. Once this is done, you will be able to reserve the products and to process the transfer.